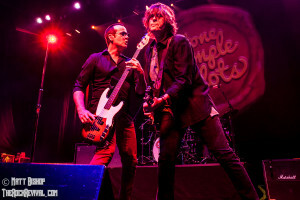 Last night, Stone Temple Pilots delivered a strong performance at The Wellmont Theater in Montclair, NJ. The band is currently trekking across the U.S. on their 2015 spring tour. It’s a good thing the band are packing venues on this run. For every ticket sold, $1 is being donated to Music For Relief, a nonprofit organization dedicated to disaster relief and environmental protection. Funds raised will support long term Hurricane Sandy recovery in New Jersey including housing assistance and home repairs, mental health and social services as well as tree planting. This the band’s second tour with Linkin Park frontman Chester Bennington handling vocal duties. 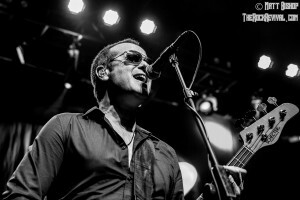 On the very first stop of the band’s 2013 tour, bassist Robert DeLeo told The Rock Revival that “there wasn’t really much looking around and searching. He [Chester] was ‘the choice’, so to speak.” It’s certainly proven to be a good choice for the band. STP released the High Rise EP with Bennington back in 2013, and it produced the radio hit “Out of Time.” The band are using this spring run to get some fresh air as they have been working on music for a brand new studio LP. The band were firing on all cylinders last night, playing a healthy 22-song set. They rolled through hits like “Vasoline”, “Wicket Garden”, “Plush”, “Down”, “Trippin’ On A Hole In A Paper Heart”, “Interstate Love Song”, “Big Empty”, and many more. The evening also brought out some deeper cuts like “Crackerman”, “Heaven and Hot Rods”, “Adhesive”, “Meat Plow”, “Lounge Fly”, and a few others. 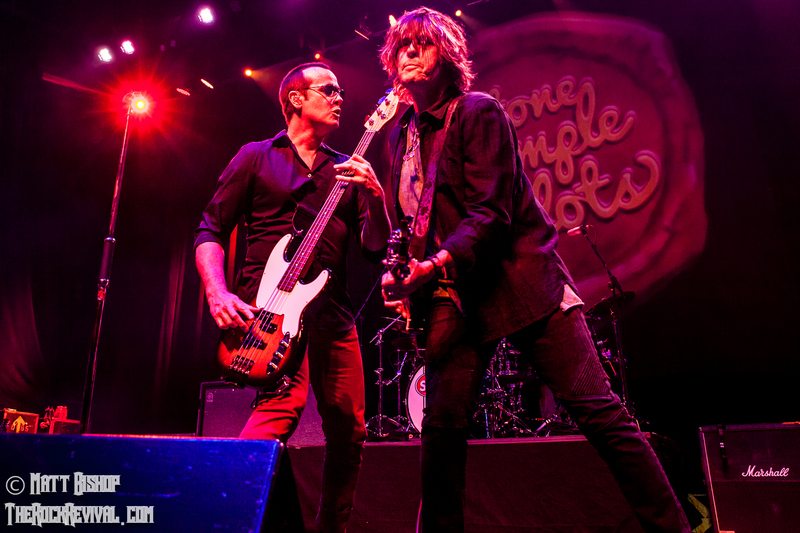 Guitarist Robert DeLeo, bassist Dean DeLeo, and drummer Eric Kretz sounded exceptionally tight as they always have. Chester put the icing on the cake, just as he did on the last tour. 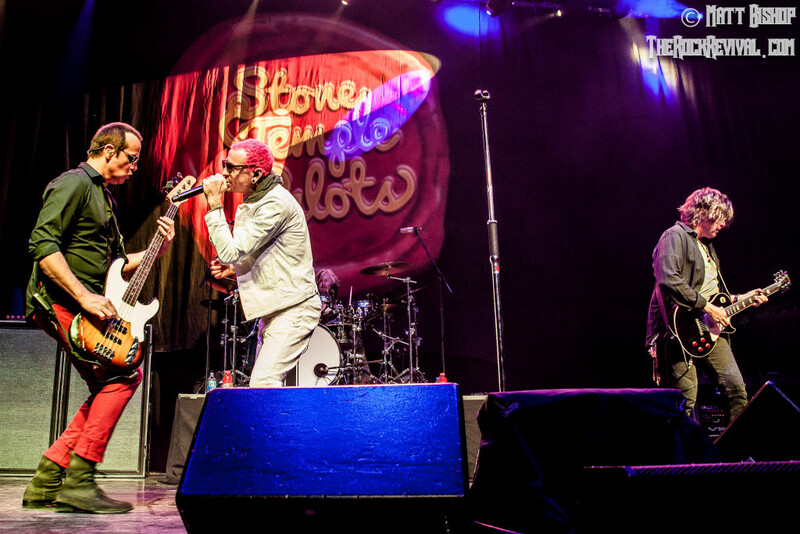 Some have criticized him for acting too much like former frontman Scott Weiland on stage. But think about it his way – Bennington grew up listening to and watching Stone Temple Pilots. he didn’t wring the songs. 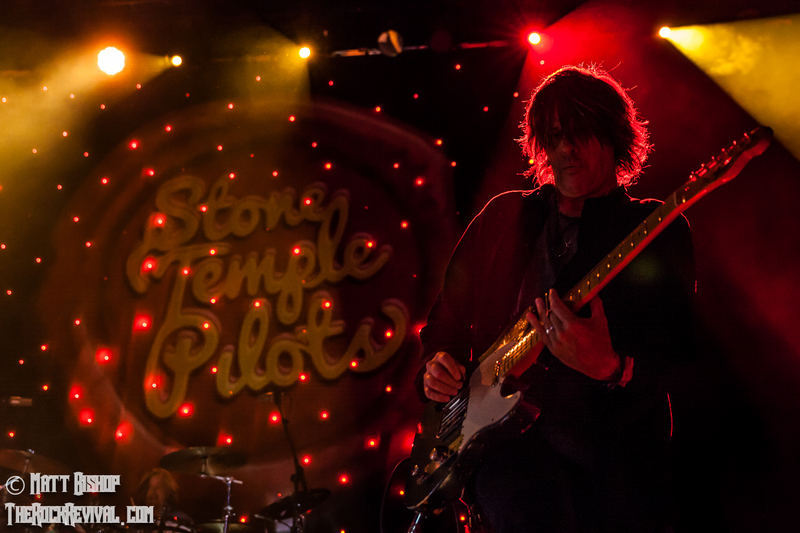 Stone Temple Pilots are not his vision. It’s only logical that he will instinctively act like the singer from Stone Temple Pilots that he and millions of fans watched for two decades. It doesn’t make him a copycat, he’s just performing the songs in the vision of which they were intended. This is not Linkin Park, and we should be perfectly alright with that. However, they will be at Rock On The Range in Columbus, OH on May 16 for all who wish to attend. I certainly see the momentum from this tour and the band’s last EP propelling their upcoming new album. My gut tells me it will be a more than solid rock record worthy of being shelved alongside the rest of the band’s stellar catalog. 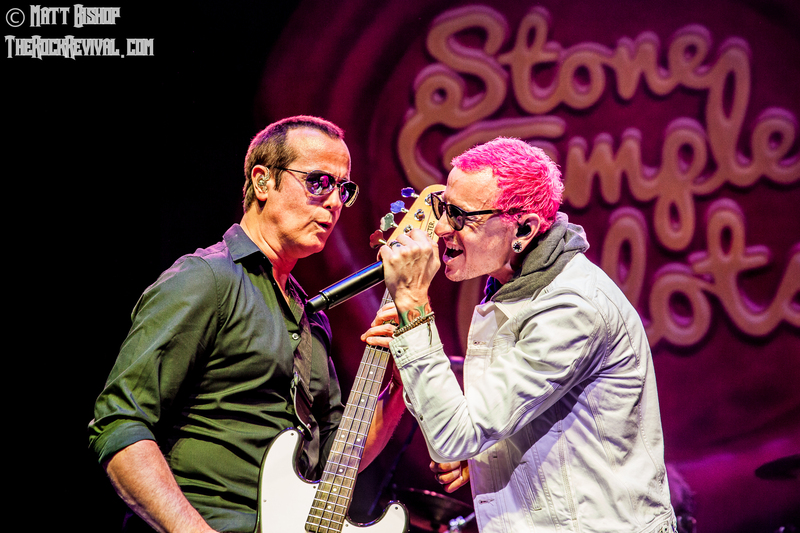 Tagged chester bennington, hard rock, Linkin Park, live photos, Stone Temple Pilots, stp band, wellmont theater.